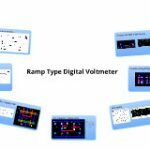 The ramp type DVM (digital voltmeter) uses a linear ramp or staircase ramp technique. The staircase ramp technique is a simpler version of linear ramp technique. The block diagram of ramp type DVM is shown in above figure. The ramp type DVM consists of linear ramp this ramp may be positive or negative going. The swing of ramp take place between + 12 V and – 12 V. As shown in above figure the attenuator is placed at the input side and the output of attenuator is connected to input comparator. The ramp signal generated by the ramp generator which is given to both the comparator first and second respectively. 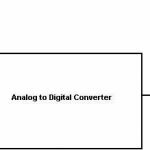 The output signal of two comparators is given to the logic control unit which is used to open or close the gate. The number of pulses which has to be counted is given by the local oscillator. The output of logic gate is connected across to the counter and digital readout.